Harvest Pointe is a three-story apartment community specifically designed for older adults who are at least 62 years of age. 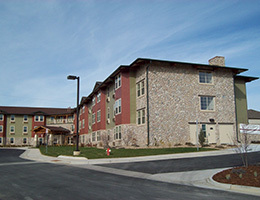 There are 79 one-bedroom units and one manager’s unit. Eight of the units are handicap accessible designed to benefit the mobility impaired and the building is equipped for those who are hearing and/or visually impaired. The community is located in close proximity to restaurants, retail business, churches, medical and dental offices, and public transportation. 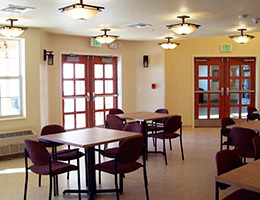 Harvest Pointe features a community room with a party kitchen to be used by the residents for a variety of social, educational, and recreational activities. 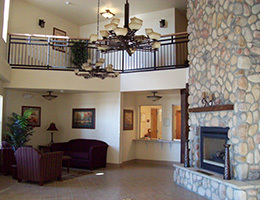 The two-story, tiled entry into Harvest Pointe includes a stone fireplace (on the 1st and 2nd floors) and provides a friendly environment for the residents to socialize. There are 4 common area outdoor patios (one with a BBQ). Raised brick planters are shared for seasonal gardening by residents. Also, a lovely gazebo to enjoy a view of the mountains and grounds. 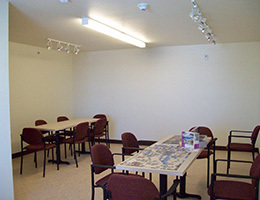 There is a library for the residents to use along with a crafts room that can accommodate wet and dry craft activities. There is also a laundry room equipped with coin-operated washers and dryers and folding tables enabling the residents to do their laundry on site. The management offices are located on site for ease of communication for the residents. There are supportive maintenance areas dedicated to the continued maintenance and operation of the community. There are indoor trash collection rooms/chutes on each floor. 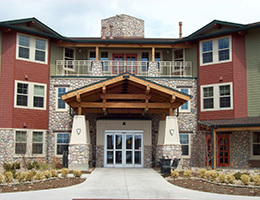 The community has a “key fob” front entry system for the residents and an intercom system for the residents’ guests and family. Each resident’s unit is accessed through interior corridors. The typical unit design provides one bedroom, a kitchen with a pass-through counter, refrigerator, & range. The mobility impaired, accessible units have roll-in showers for ease of access for those residents in wheelchairs. They also have appropriate appliances, counter and sinks, and turning radius to meet the special needs of the mobility impaired. 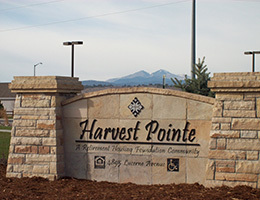 For information on this community – or to have an application mailed to you – please call 970-622-9907 or e-mail us at harvestpointe@rhf.org.